In the ideal world, the NBA trading deadline on Thursday afternoon would come and go for the Milwaukee Bucks. After all, the Bucks are flying high these days. They have won 39 games, a total matched by no other team in the 30-team league. The Bucks’ chemistry has been so exquisite that it’s almost unfathomable to believe team management would even contemplate tinkering with it. But they have already done so. They recently floated the idea of trading one of their main cogs – veteran point guard Eric Bledsoe – to the Dallas Mavericks in a multi-player transaction, some sources said. 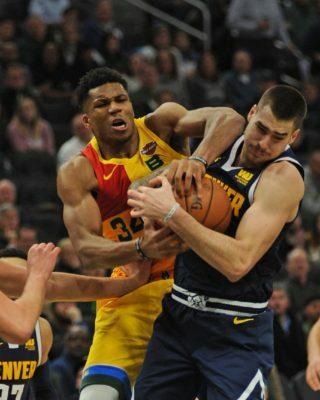 But the Mavericks’ squashed the Bucks’ proposal and passed on some other trade options as well for talented young guard Dennis Smith Jr., who was eventually dealt to the New York Knicks in a blockbuster deal involving Kristaps Porzingis. While that unsuccessful Bucks’ deal may come as a surprise to the general public, it wasn’t to many in the Bucks’ organization. Indeed, Bledsoe will become an unrestricted free agent on July 1 and will undoubtedly be looking for a robust boost in his pay. His salary this season is $15 million. Considering he is enjoying the best season of his career, it isn’t unreasonable to believe Bledsoe will command an annual salary of nearly $20 million next season. 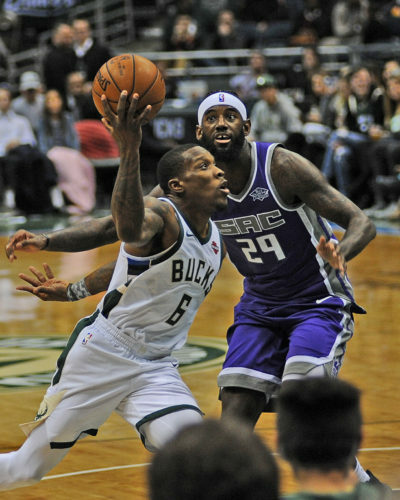 The Bucks probably wouldn’t have had an issue rewarding Bledsoe with a well-deserved pay raise, but they have put themselves in a unique and difficult bind. 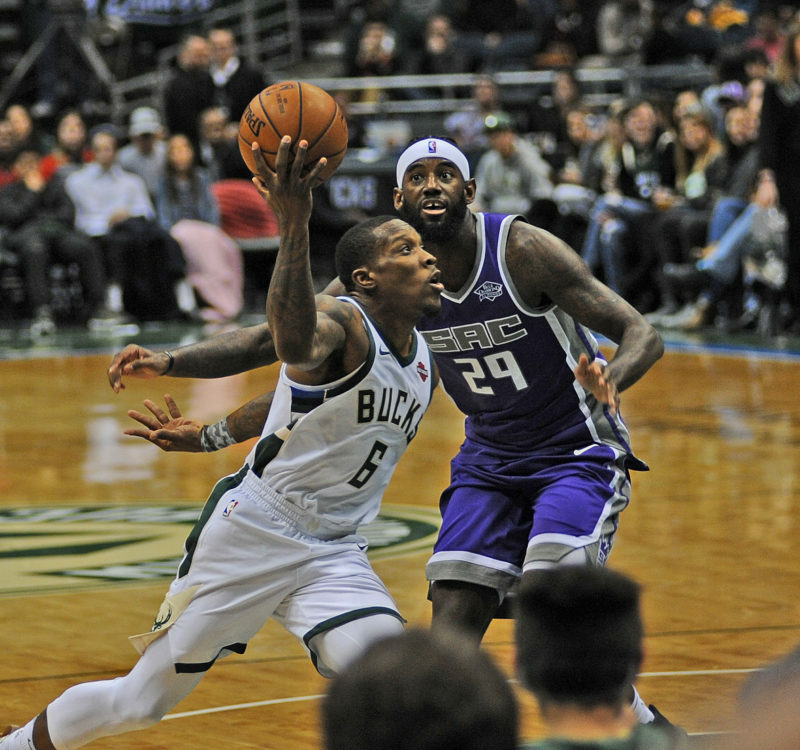 Bledsoe is one of four Bucks’ starters who figure to be free agents this summer, the others being Khris Middleton, Malcolm Brogdon and Brook Lopez. Like Bledsoe, the aforementioned trio of Bucks are all bound for pay raises. Middleton, in particular, stands to receive a colossal pay hike. 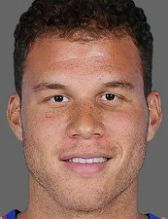 He’s earning a modest $13 million this season and has a player’s option of $13 million for next season. He will, unquestionably, pass on it and check out the open market. Middleton’s free agency status should be helped by the fact he was recently voted by the Eastern Conference coaches as a reserve in the upcoming NBA All-Star Game. On the low end, some league officials speculate Middleton will make about $25M next season. On the high end, Middleton’s 2019-2020 salary will well exceed that of superstar teammate Giannis Antetokounmpo, who is on the books for $25.84 M next season. “He’s going to get the max,’’ an NBA general manager said last week about Middleton. “The max,’’ the GM insisted. If Middleton does indeed receive a max contract from the Bucks, it would be for five years for $190 million – or an average of $38 million a season. If Middleton were to receive a max contract offer from another team, it would be for $140 million over four years – or an average of $35 million a year. As for Brogdon and Lopez, both are on incredibly team-friendly contracts. Brogdon, who will be a restricted free agent this summer and can have any offer he garners from another team matched by the Bucks, is drawing a paycheck for a measly $1.54M this season. Lopez, who’ll be an unrestricted free agent in July, is being paid $3.38M this season. Two NBA officials agreed Brogdon will be in the $12M range next season, while Lopez will be in the $10M range. Based on those salary projections for Lopez, Brogdon, Middleton and Bledsoe, along with Antetokounmpo’s $25.84M salary, it would mean the Bucks would be paying their starting lineup approximately $95 million next season. Tack on the guaranteed salaries of Tony Snell ($11.39M), Ersan Ilyasova ($7M), Thon Maker ($5.17M), D.J. Wilson ($2.96M), Donte DiVincenzo ($2.90M), Spencer Hawes ($2M), Pat Connaughton ($1.72M), and a team option of $1.21M for Sterling Brown and their No 1 draft pick and the Bucks will be well over the NBA’s luxury tax threshold of $132 M. And that’s just for 12 of the team’s 15 roster spots. n trade Bledsoe, even though there is a dearth of teams in the market for a point guard who has had an up-and-down career. Or do they keep him with the realistic possibility of him bolting to another team this summer without the Bucks receiving any compensation after they surrendered a future first-round draft pick to acquire him from Phoenix in November of 2017? n trade Maker, who hasn’t come close to justifying the team making him the 10th overall pick in the 2016 draft? Several teams have expressed interest in Maker, including Brooklyn, Sacramento, Memphis and Chicago, with the Bucks hoping to recoup a first-round pick. n trade Brogdon, the 2016-2017 Rookie of the Year who has developed into one of the league’s best all-around backcourt players. Brogdon had foot surgery while playing at the University of Virginia, prompting several NBA teams to take him off their draft boards. Some of those teams harbor the same concerns about Brogdon’s foot now, even though he has started 48 of the team’s 52 games this season. If the Bucks do pull the trigger and make a trade by Thursday’s 2 p.m. deadline, what would they look for in return? “They want to add one more piece; they’re looking for a wing player,’’ said an executive from a team that has an interest in Maker. The Bucks had their eyes on Kyle Korver, but Cleveland dealt him to Utah. They also had more than a passing interest in Rodney Hood, who was just dealt to Portland. It’s also no secret the Bucks, specifically coach Mike Budenholzer, wouldn’t mind acquiring Kent Bazemore from Atlanta. Bazemore flourished under Budenholzer when the latter coached the Atlanta Hawks. Bazemore is fine perimeter shooter – he shot 39 percent on treys last season for the Budenholzer-led Hawks, and is regarded as a high-level defender. “Kent would love to play for Bud, and Bud would love having him play for him again,’’ an NBA official, who knows both Bazemore and Budenholzer, said. The Bucks made their first call during free agency in 2016 to Bazemore and then, according to sources, tried to trade for him after the Bucks hired Budenholzer last summer. Bazemore’s salary is an issue for any suitor. He makes $18.08 M this season and has an option for $19.26M next season. “They (the Hawks) want a first-round pick for him (Bazemore) and I’ve heard a couple of teams would do that,’’ an executive said. Bazemore, who is 29 and averaging 13.5 points a game this season, is one of several Hawks available as they continue their rebuild. Hawks center Dewayne Dedmon has also been linked to the Bucks in a potential trade. Dedmon and Bazemore have also drawn interest from Philadelphia, which has made guard Markelle Fultz available. Sources said the 76ers had offered Fultz to Dallas in an attempt to obtain Smith. Like the Hawks, the Orlando Magic are receptive to dealing a spate of their players. Last summer, rumors circulated the Bucks and Magic might work out a deal involving Brogdon and the Magic shooting guard Evan Fournier. The Magic also are open to trading swingman Terrence Ross. Another wing player who could be moved at the deadline or have his contract bought out is Wesley Matthews of the New York Knicks. Matthews played prep basketball in Madison and attended Marquette University. Other wings who are potential trade candidates are Miami’s Wayne Ellington, Cleveland’s Alec Burks, Detroit’s Reggie Bullock, Memphis’ Garrett Temple, Chicago’s Jabari Parker, Portland’s Moe Harkless and Kentavious Caldwell-Pope of the Los Angeles Lakers. Suffice to say, the Bucks will have plenty of trade options with a host of players on the trading block, including New Orleans superstar Anthony Davis. Davis, whom the Bucks have expressed a keen interest in and offered the Pelicans anyone of their roster except Antetokounmpo, has made it clear he wants out of New Orleans and is reportedly open to being traded to Milwaukee, just a short drive from his hometown of Chicago. The Bucks are one of a handful of teams making a major push for Davis, although most NBA officials envision him being dealt to the Los Angeles Lakers.